&TV is all set to mesmerize the audience with its upcoming show, Paramavatar Shri Krishna which narrates the story of one of the most revered Gods in India. 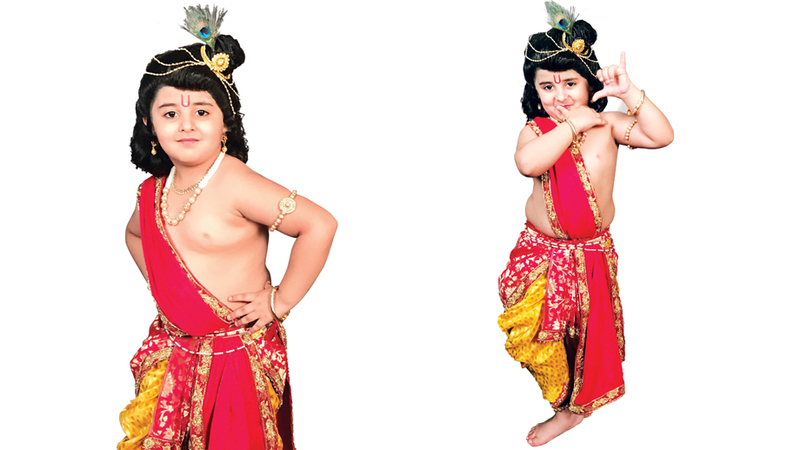 While the hunt was on to find the Little Krishna for a long time, after auditioning more than 200 kids &TV’s search has finally came to an end with child artist Nirnay Samadhiya. The 4-year old actor from Indore has mesmerized the makers of the show with his cute looks and innocent portrayal of the natkhat kanhaniya. His cheerful nature and amazing acting talent at such a young age made him the perfect choice for the role. With his cute looks and lovable nature, the little boy Nirnay already has a huge fan following. As they have recently started shooting for the show, the entire cast and crew adore him and are usually seen running around him in the free time. While makhan was Krishna’s favourite, Nirnay loves milk.